I’m definitely going to date myself here, but I clearly remember when the movie “Footloose” with that Kevin Bacon fella came out. I was a little kid, months away from kindergarten and that entire summer we spent at the local pool, I can remember hearing that song play OVER and OVER and OVER again. It was one of the first movies my parents rented when we bought a *gasp* VCR. In many ways, it feels like it was only yesterday, but it’s been 32 years since “Footloose,” the 1985 Oscar® nominated and Grammy® Award-winning “Song of the Year,” hit the airwaves and graced movie screen. Kenny Loggins earned his place in musical history and “Footloose” remains one of the most recognizable hits Kenny Loggins ever recorded, and one of the top 100 movie songs of the last 100 years. WOW. To further date myself, Kenny Loggins is now a first-time grandfather and when Quarto Publishing came to him with an idea to turn Footloose into a children’s book, he had his granddaughter on his mind when he said YES. Now it’s available for purchase for entire families to get re-acquainted with a song so notable from my youth. It’s time to cut loose! 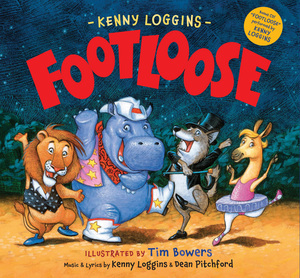 Have a rockin’ time introducing children to the fun of Footloose, rewritten for children by the one and only Kenny Loggins. As a zookeeper named Jack joins the zoo animals in an all-night dance party, this new original story from Loggins is sure to get your feet moving. Little ones will love the cast of characters, including the rockin’ chimp Louise (“Geez, Louise”), Mister DJ Elephant, the lemur Marie (“Oo Wee, Marie”), Milo the wombat, Luke the funkiest cat in the zoo, and so many more rocking, bopping, boogeying, tangoing, shaking, rattling and rolling animals! My family and I had so much fun with this book and CD set that I may just have to bust out the old VCR and re-watch Ren McCormack dancing and grooving to his illegal rock music with my oldest. In due time, Kenny and Kevin, in due time! Check it out! See the book trailer HERE. 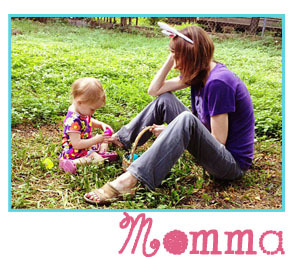 Additional Learning: Check out the activity kit for the book HERE. About the Author: Kenny Loggins’ remarkable career spans four decades and has brought him from the top of the charts to the Grammys. He’s had smash hits on Hollywood’s favorite soundtracks, rocked worldwide stages, and found his way into children’s hearts while bringing his soulful, beautiful voice to platinum albums in a stunning variety of genres. His gift for crafting deeply emotional music is unparalleled, and it’s been a part of his life as long as he can remember. Although Loggins has 12 platinum albums, a pair of Grammys, and hits on almost all the Billboard charts under his belt, he’s far from done. With more Blue Sky Riders (his newest project) tunes in the works, he’s still looking forward to what’s next. “I’ve been lucky that I love what I do and I get to keep doing it,” he says. Loggins has a newsletter and is active on Instagram, Twitter, and Facebook with many thousands of followers. About the Illustrator: Illustrator Tim Bowers has created memorable art for over thirty-five children’s books, including The New York Times bestsellers, Dream Big, Little Pig! written by Kristi Yamaguchi and Dinosaur Pet by Neil Sedaka and Marc Sedaka. His work has been published in children’s magazines, his illustrations have been used on a wide variety of products and his characters have appeared on hundreds of greeting cards. Bowers and his wife live in central Ohio. They are the parents of four grown children and are proud grandparents.